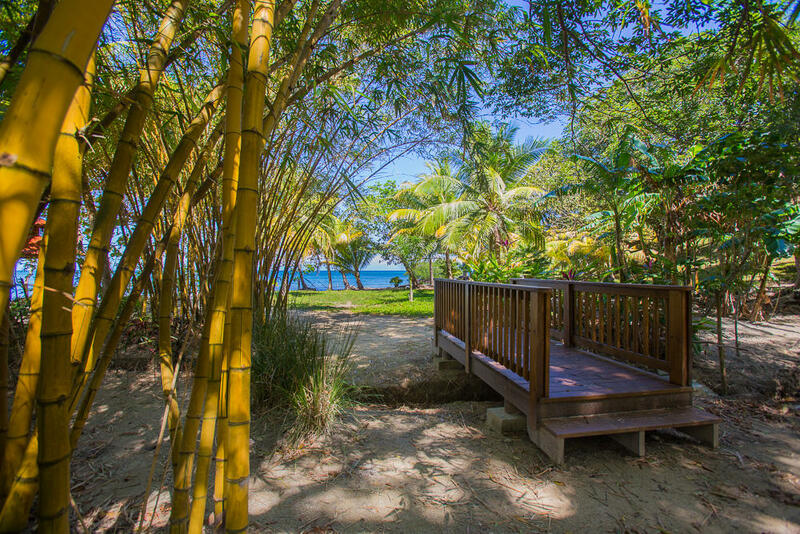 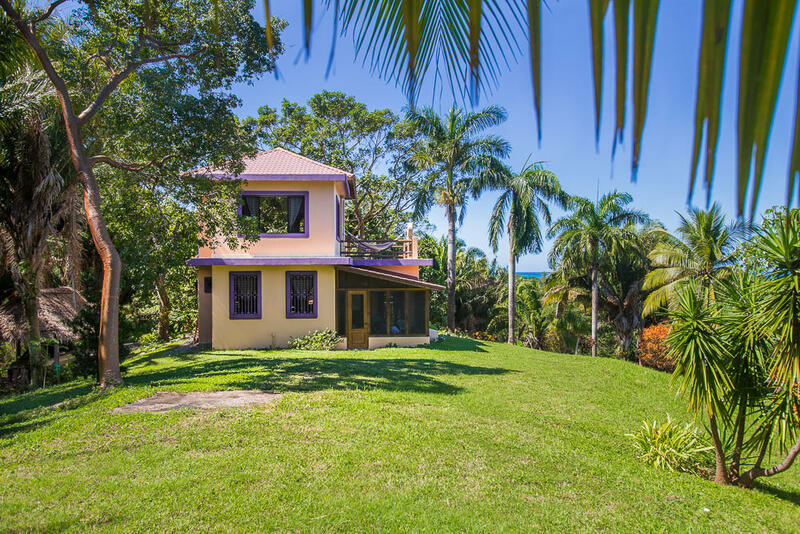 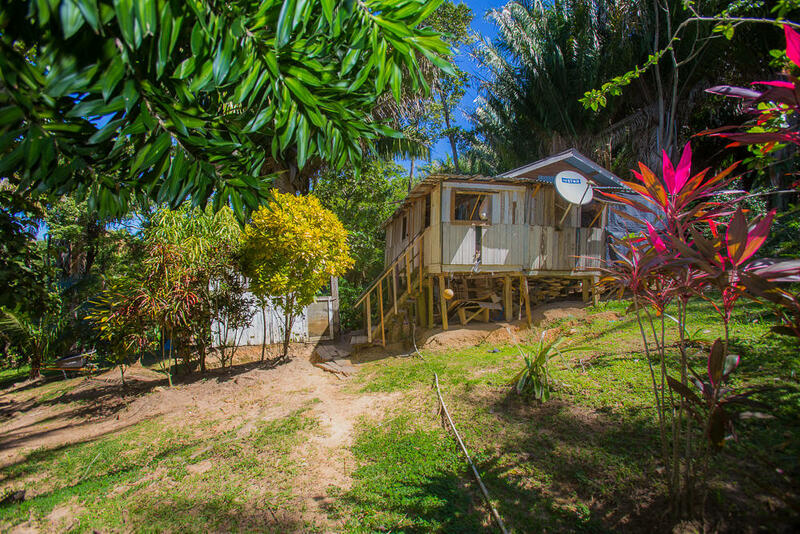 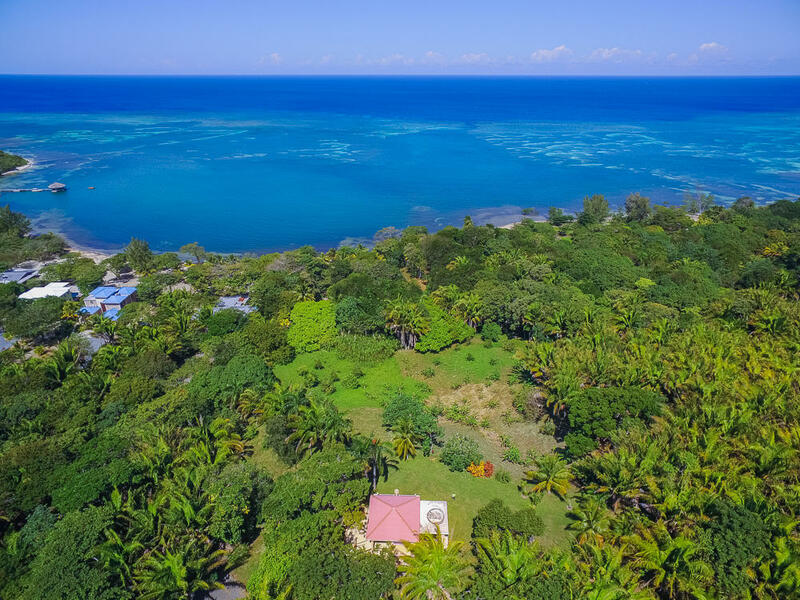 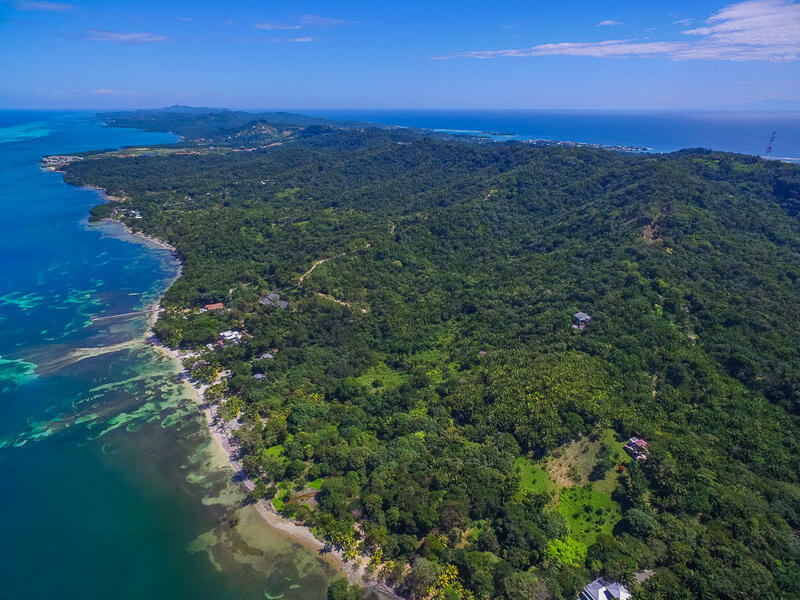 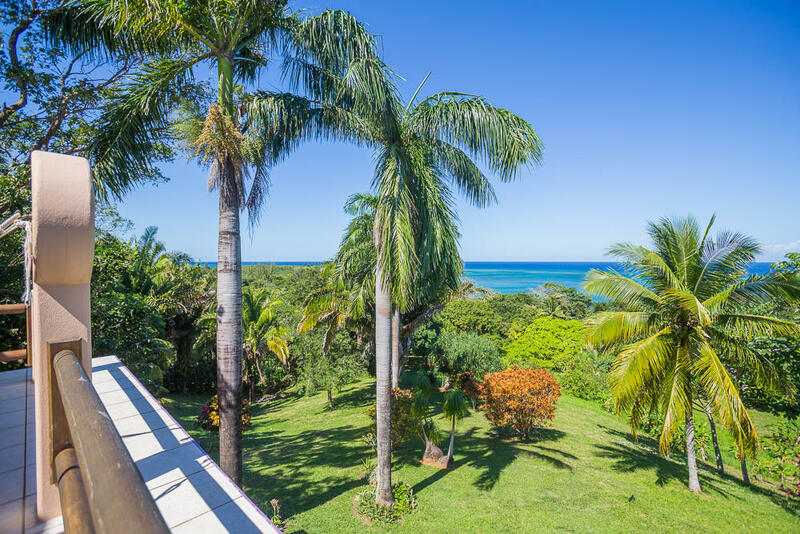 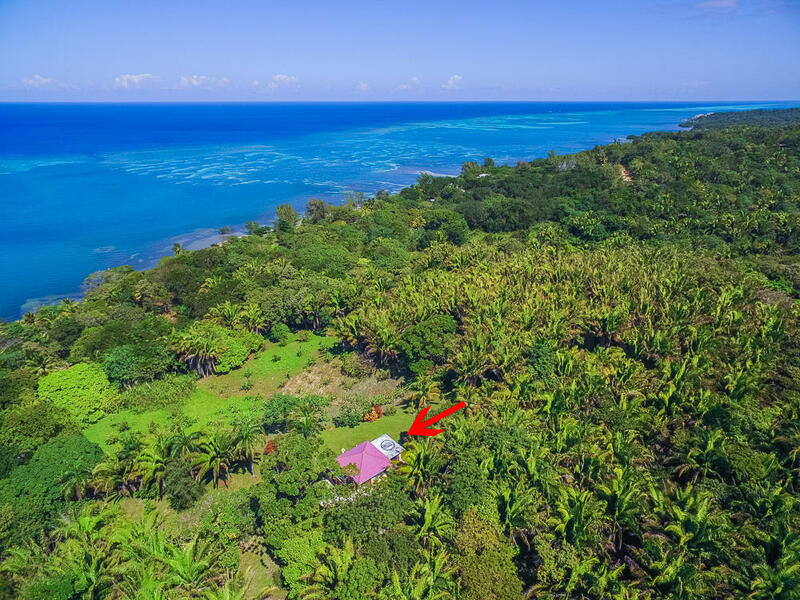 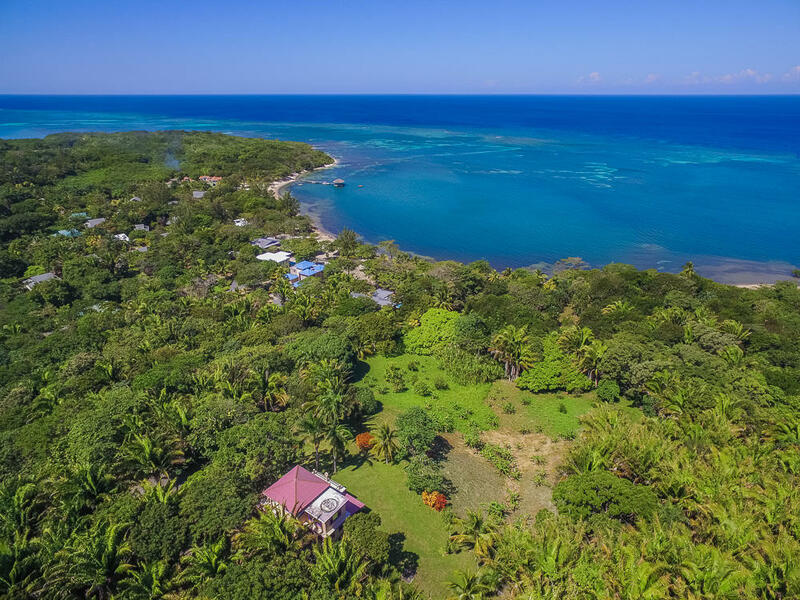 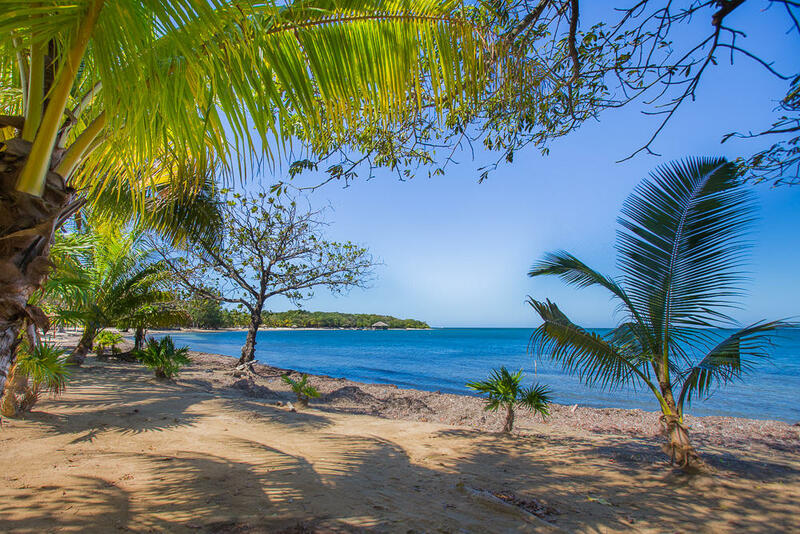 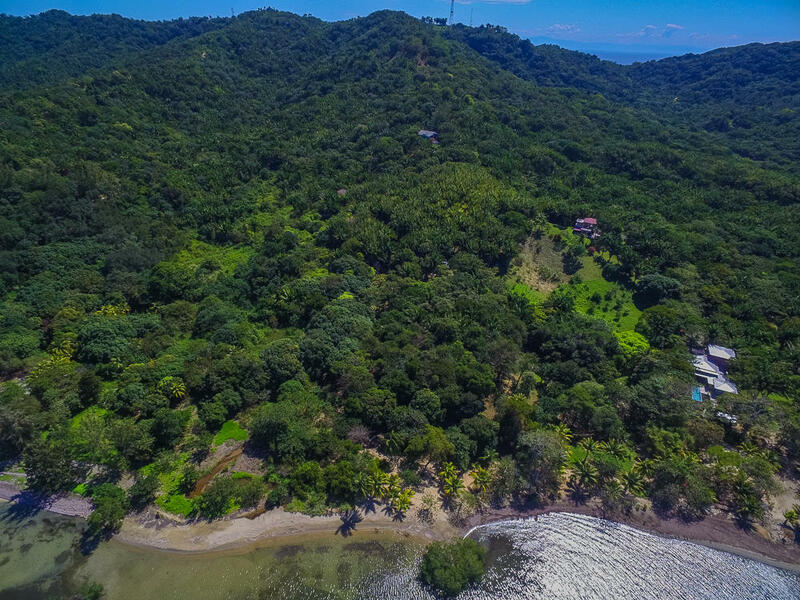 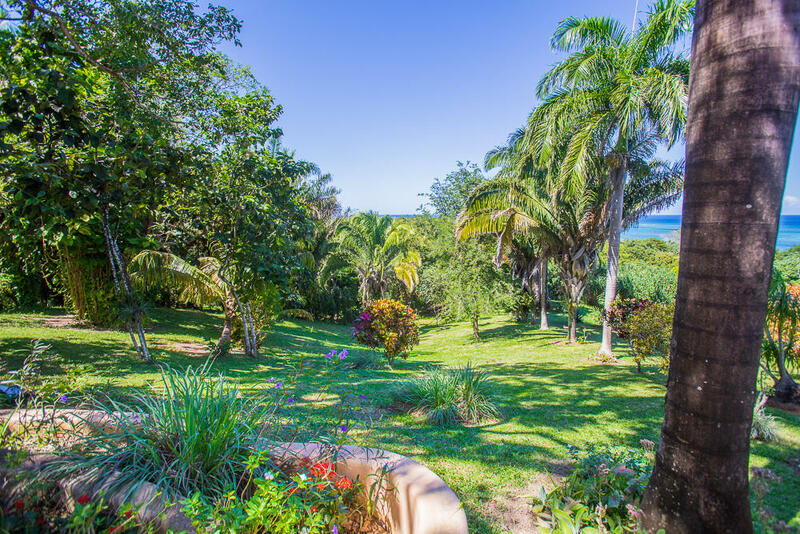 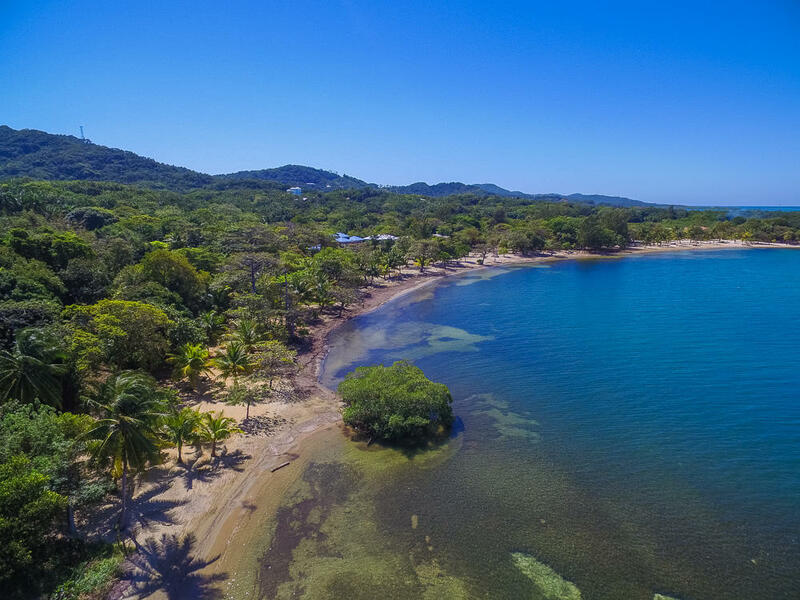 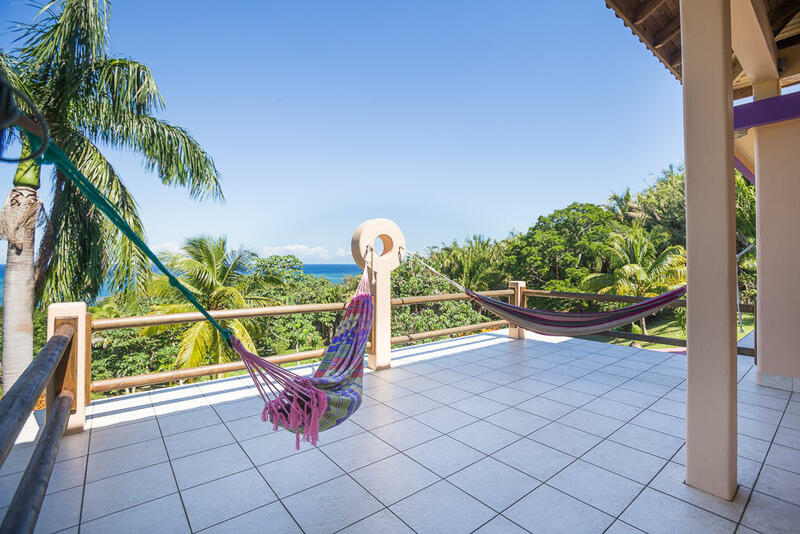 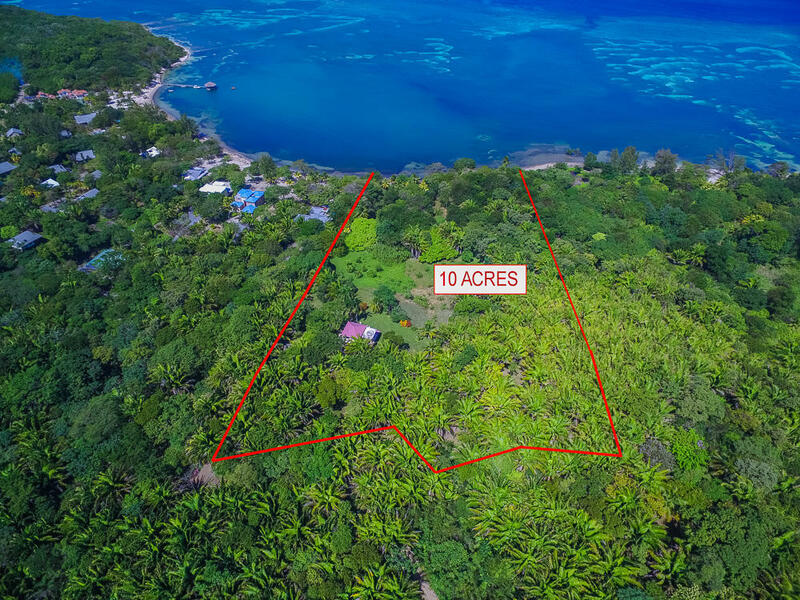 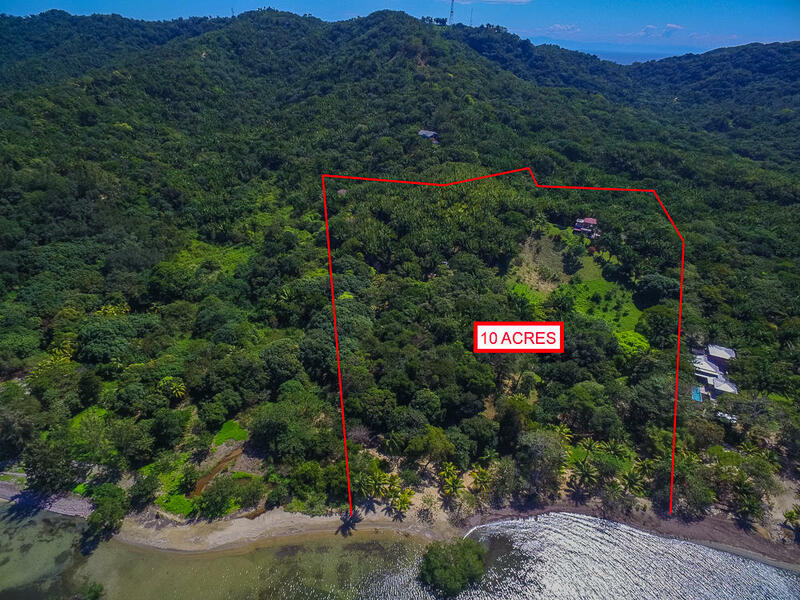 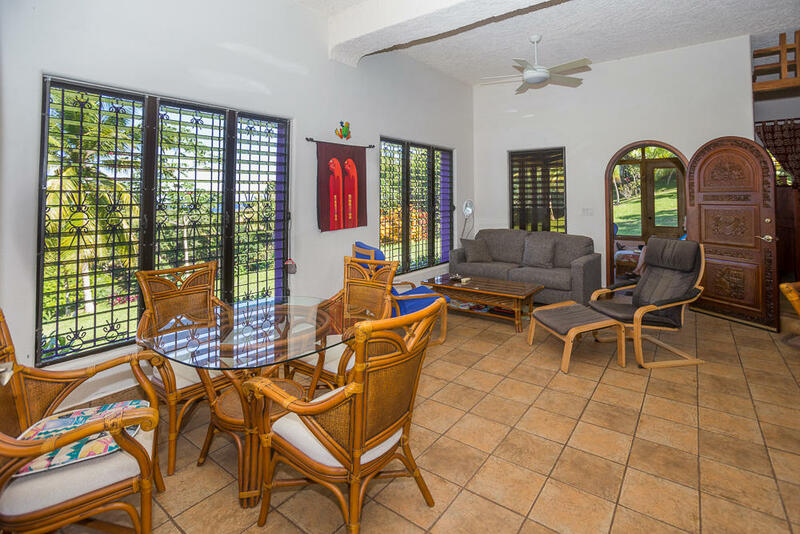 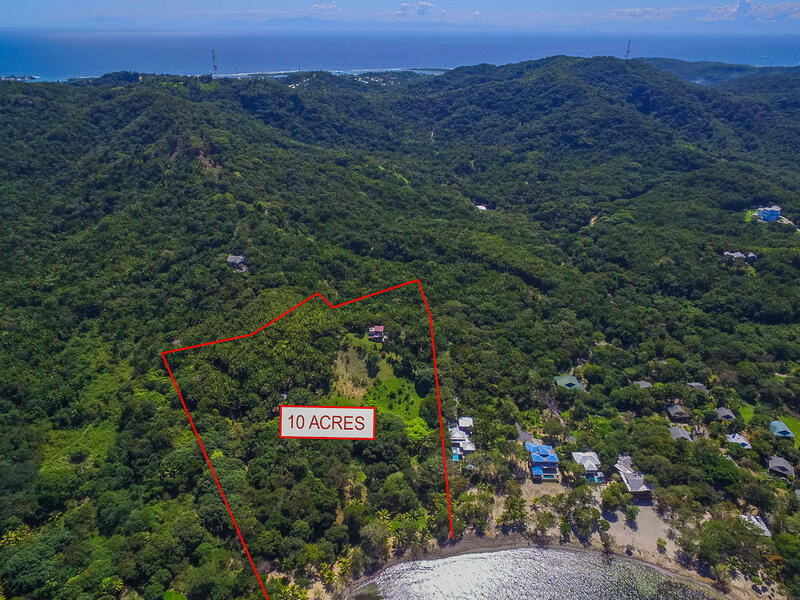 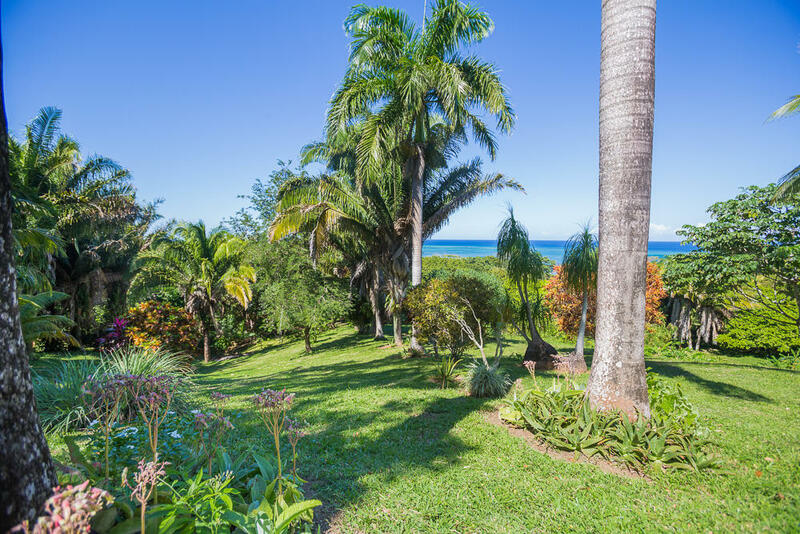 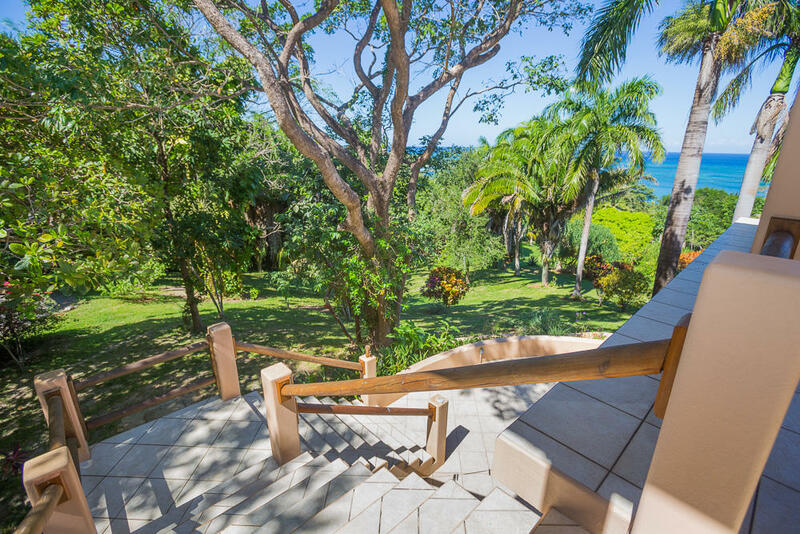 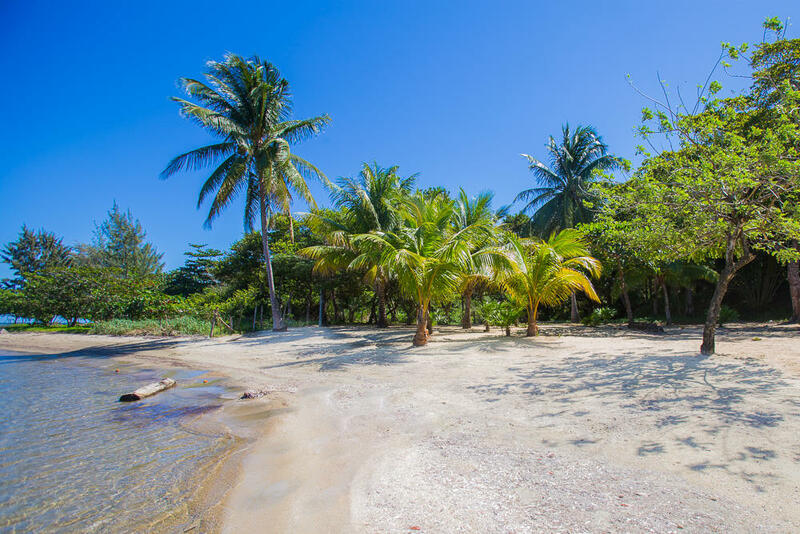 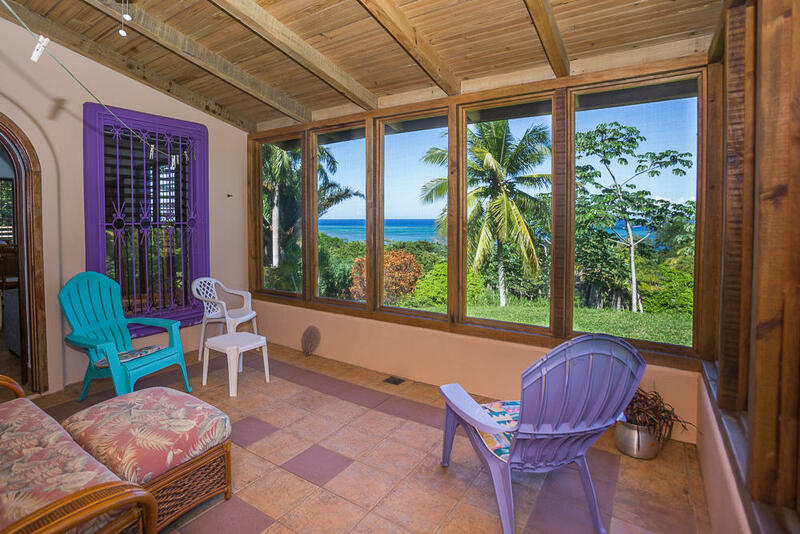 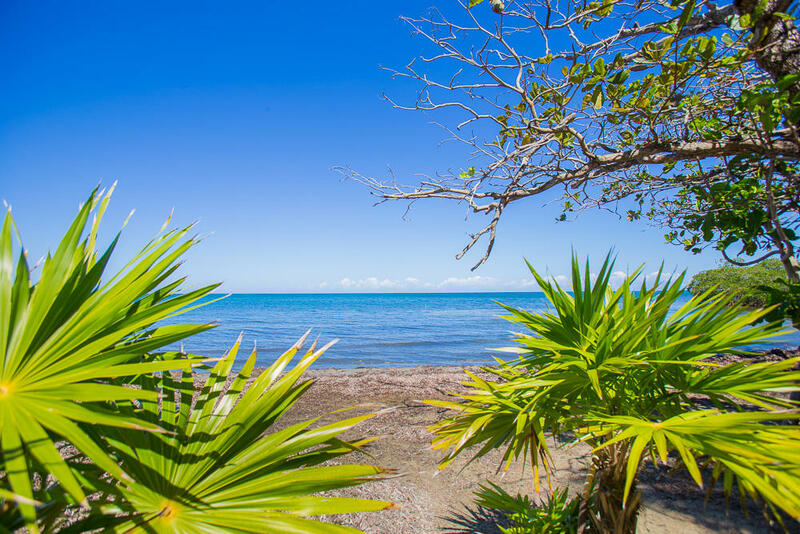 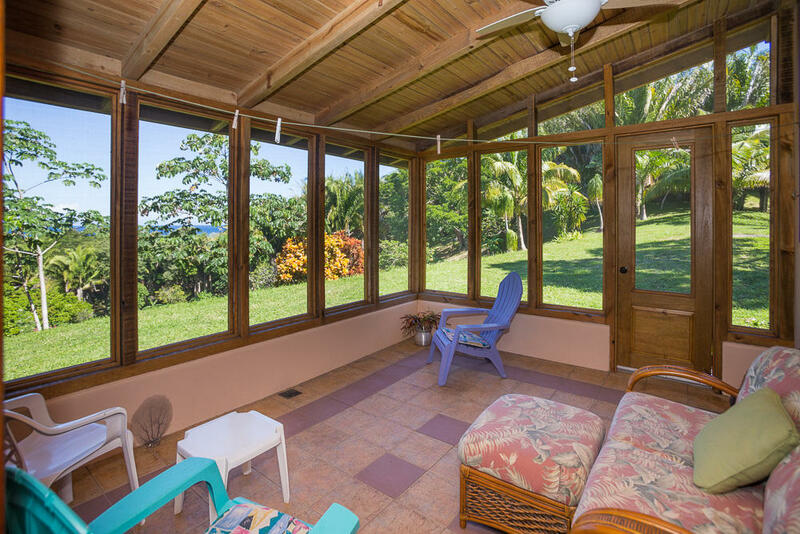 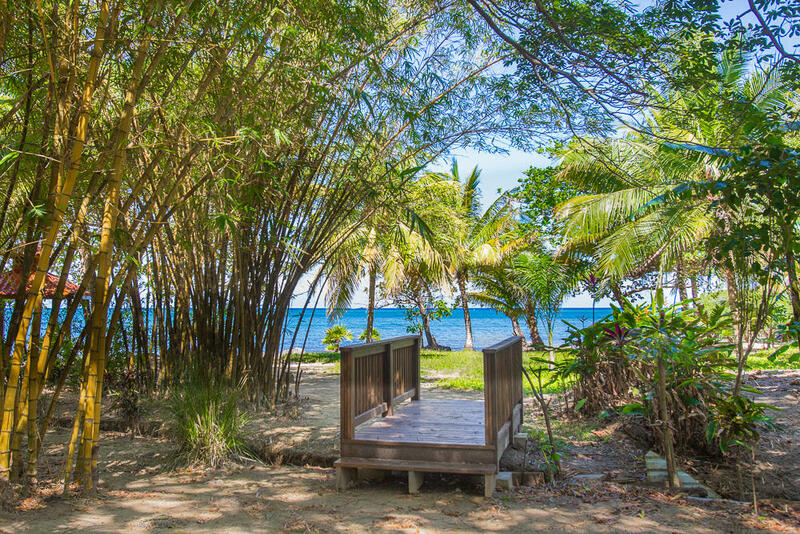 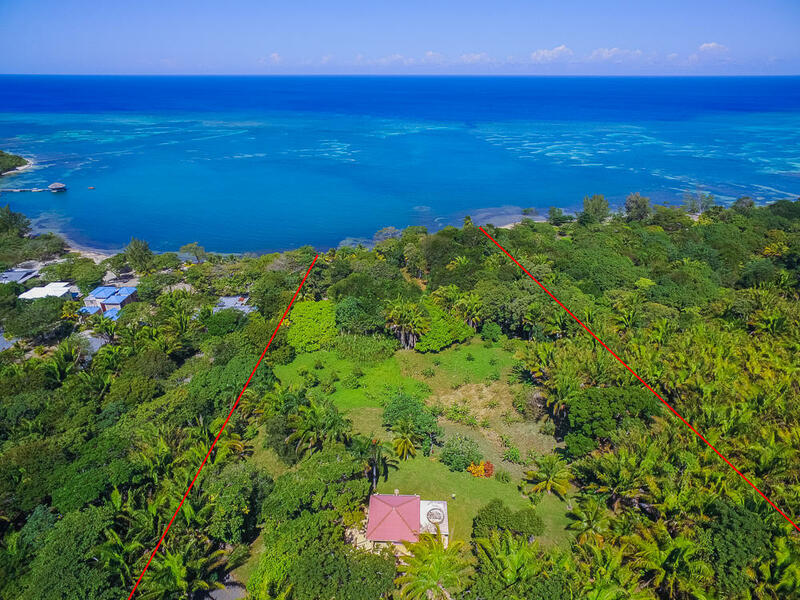 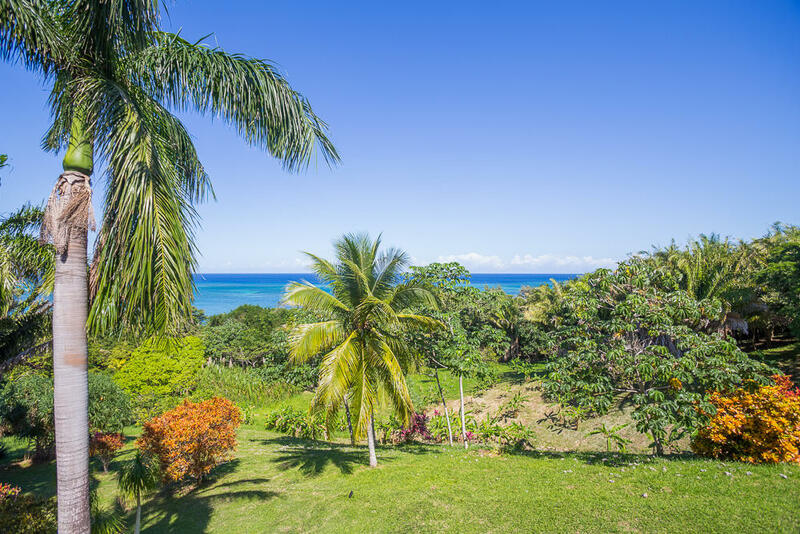 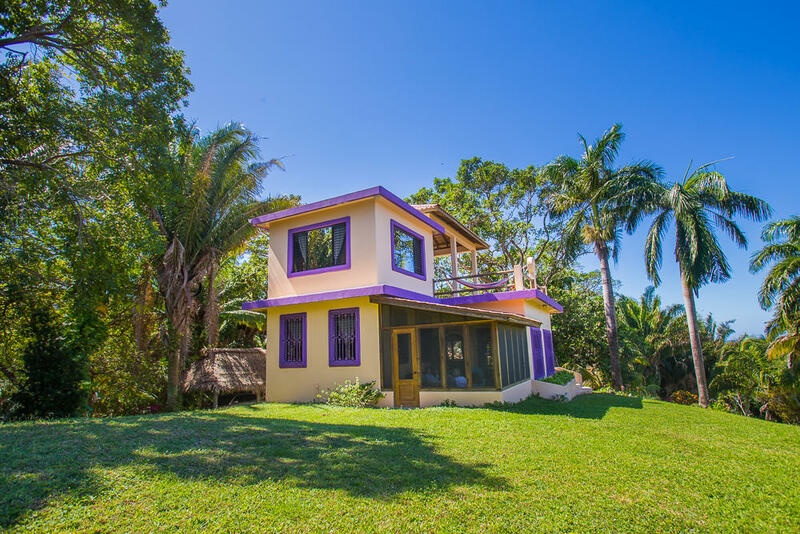 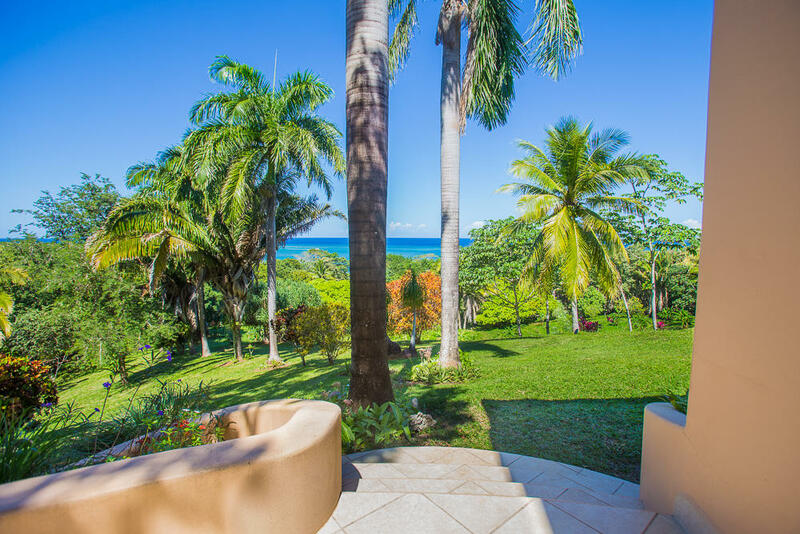 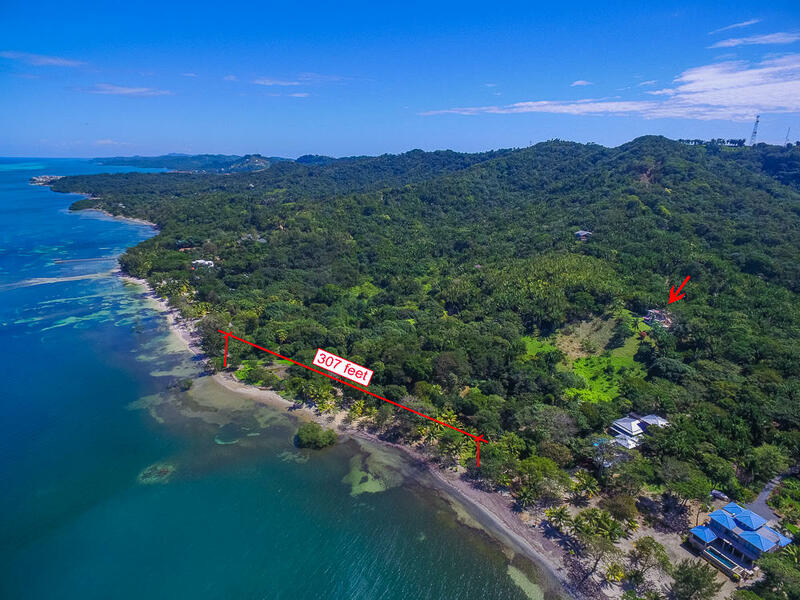 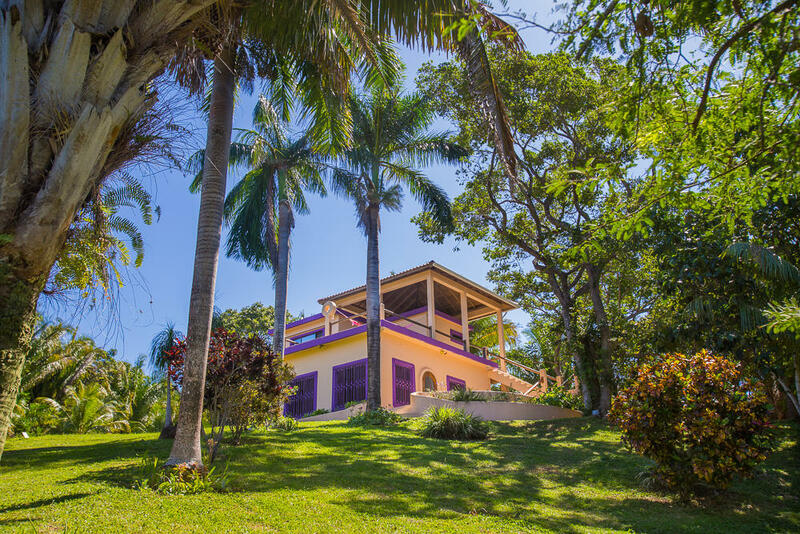 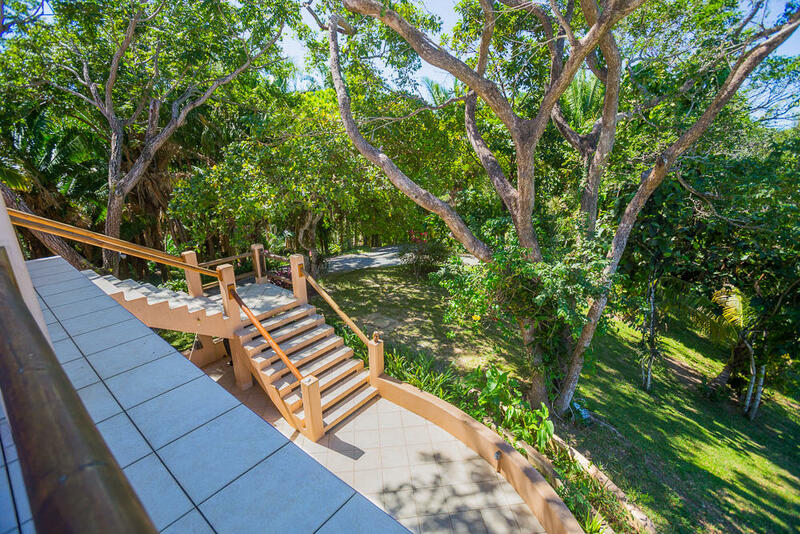 Stunning beachfront property extends from the beach all the way up to the ridge, with a panoramic view of the hillside and shoreline. 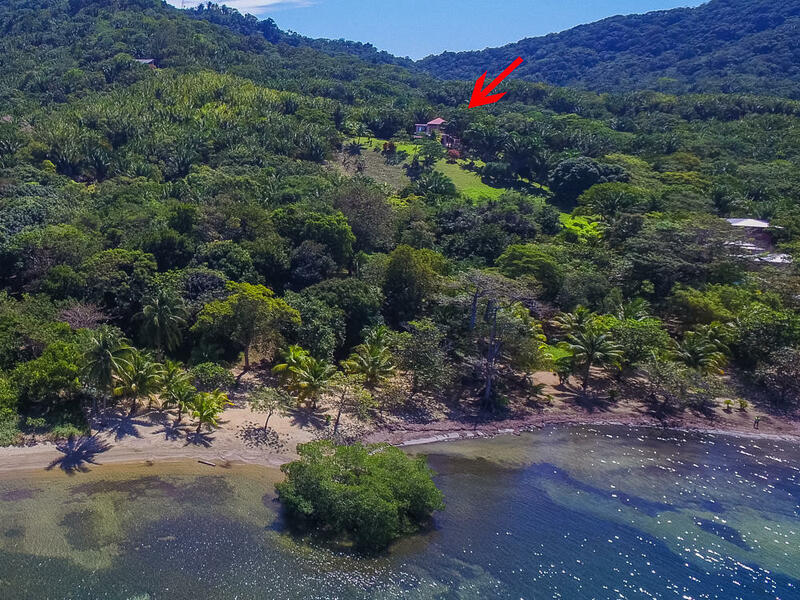 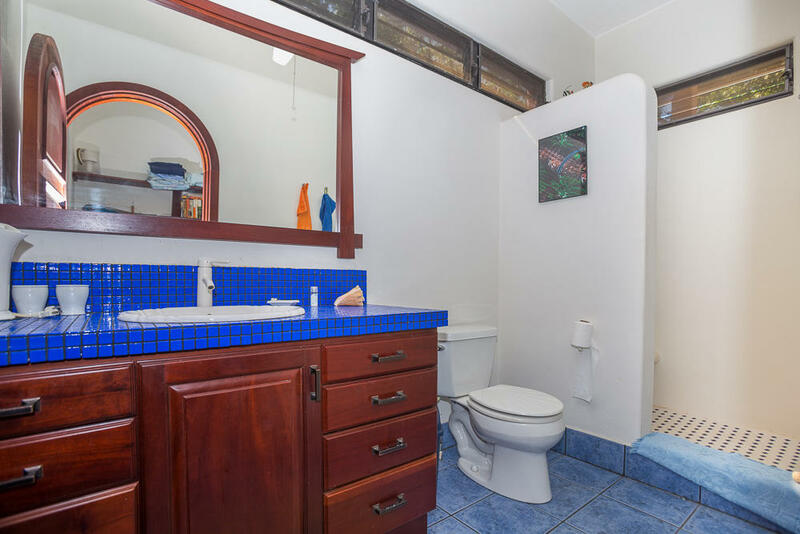 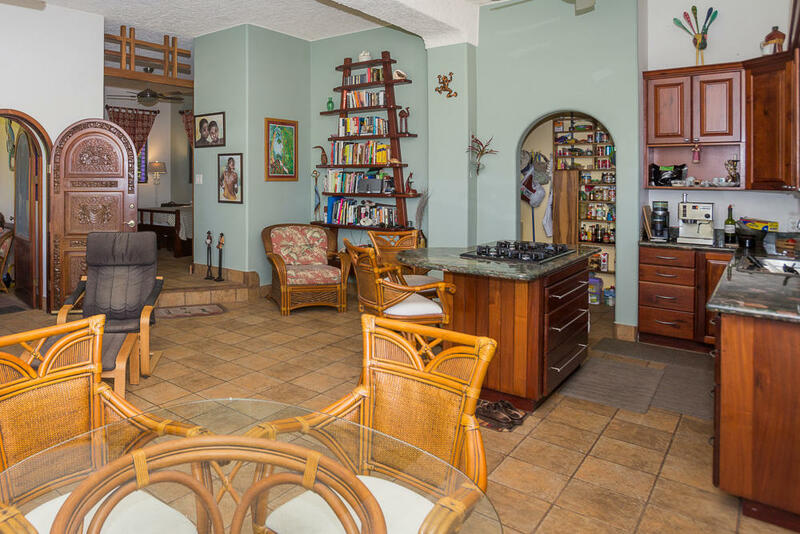 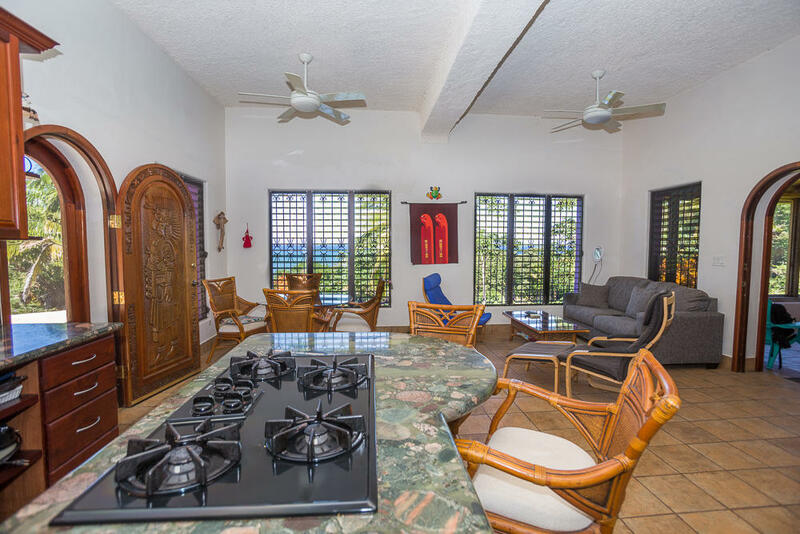 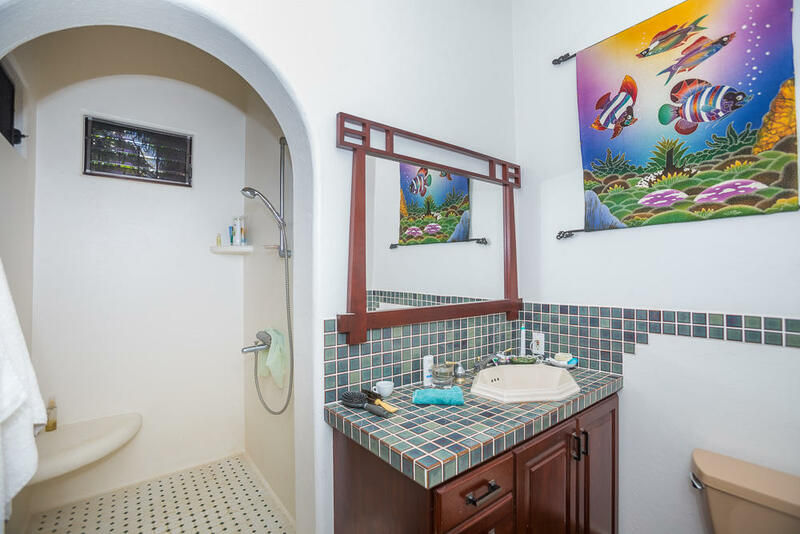 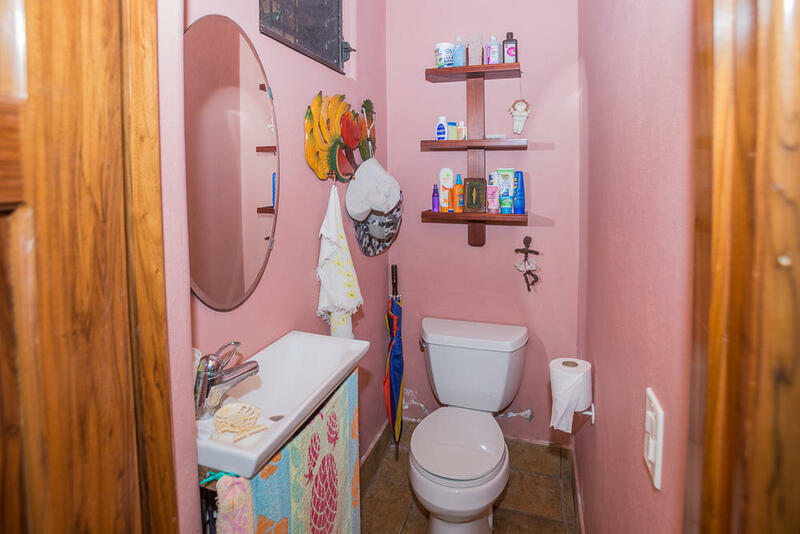 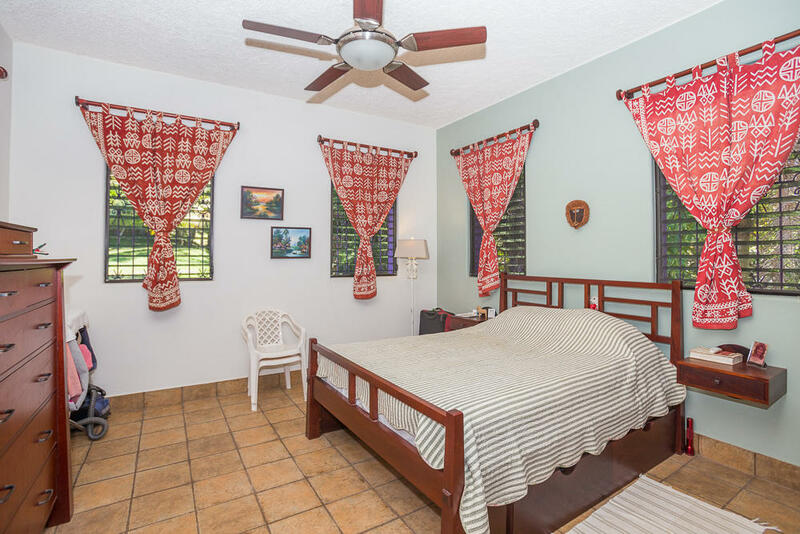 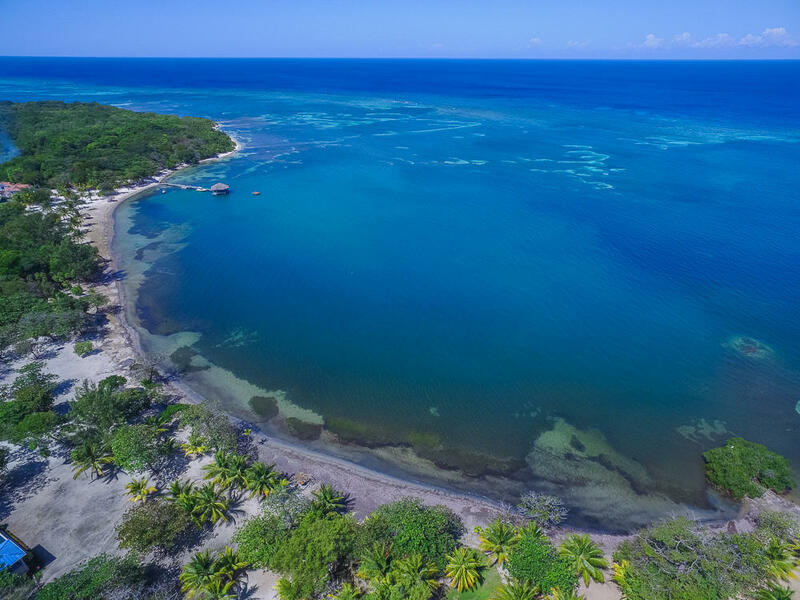 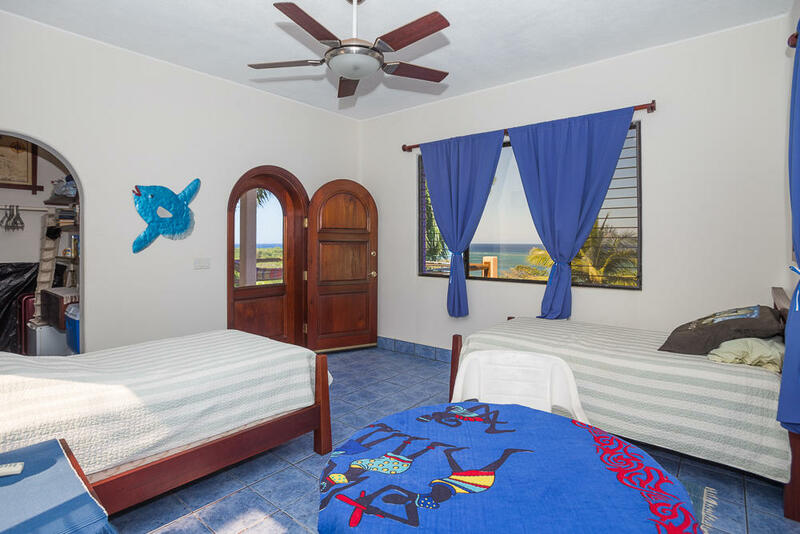 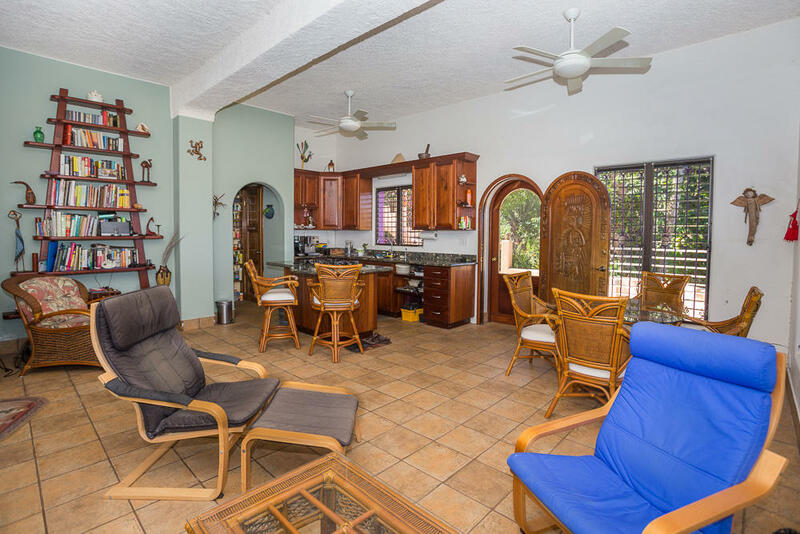 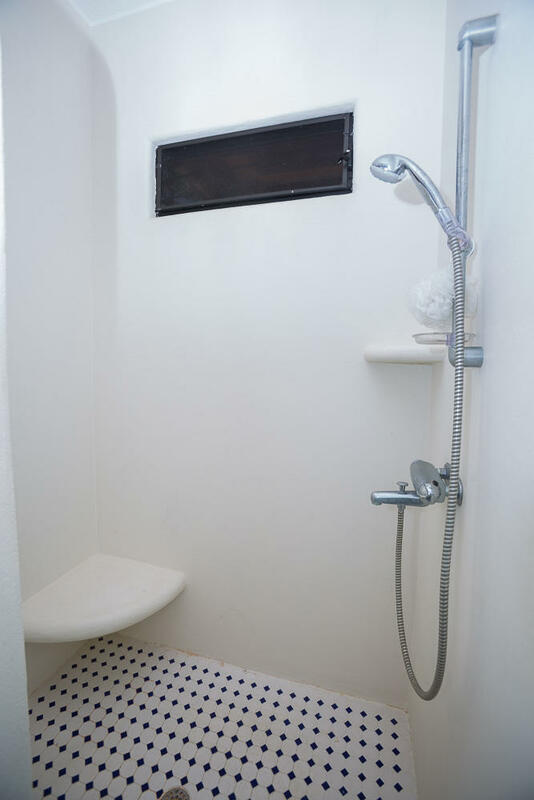 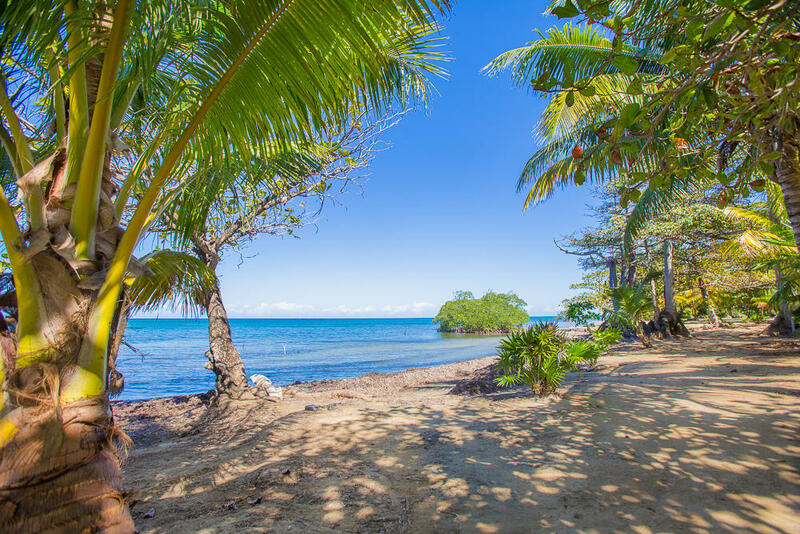 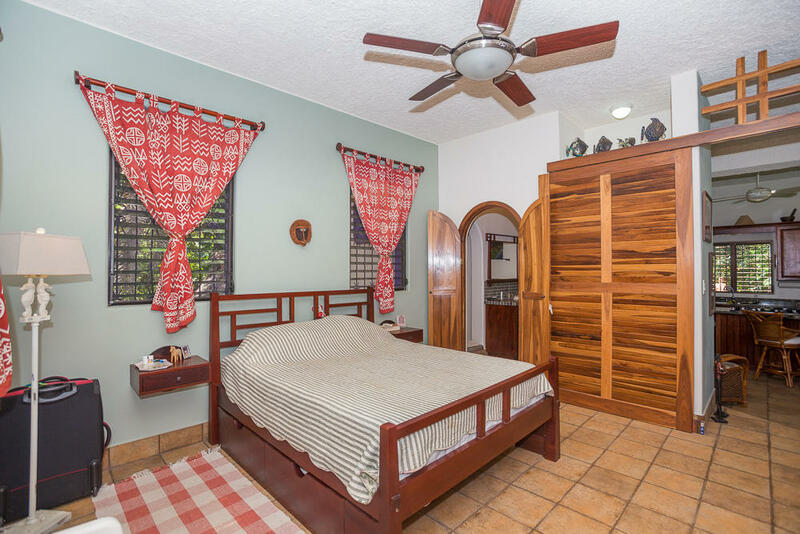 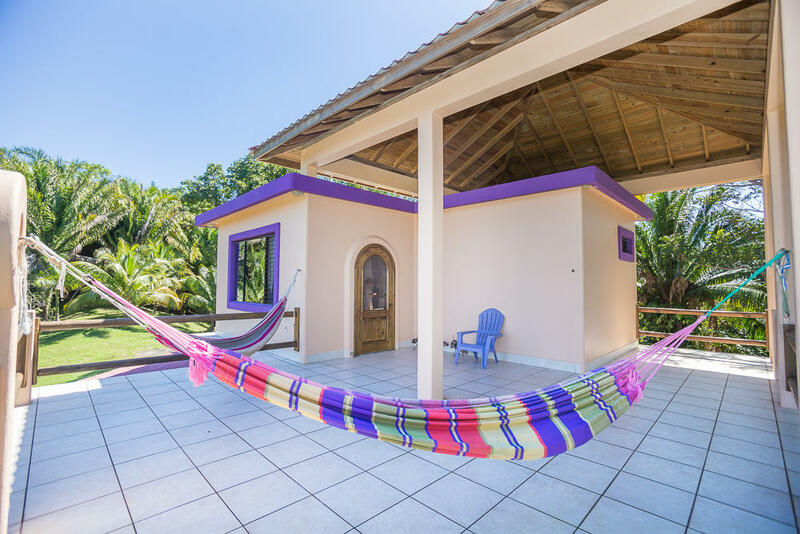 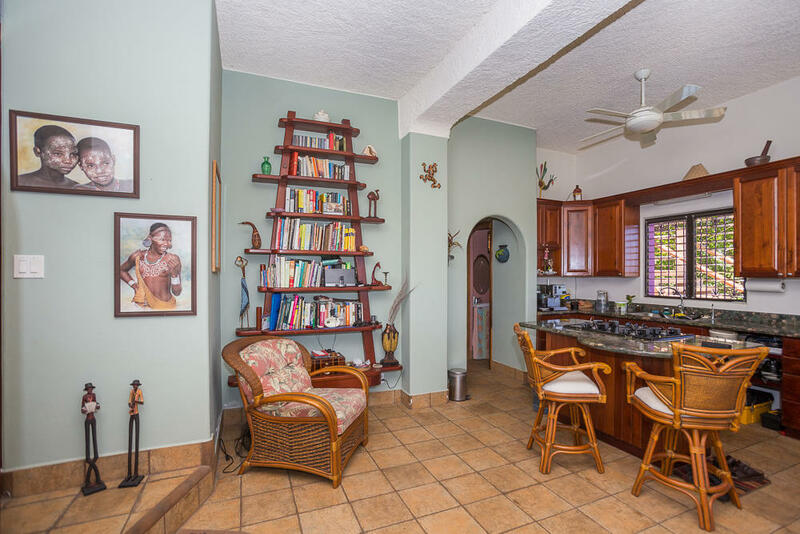 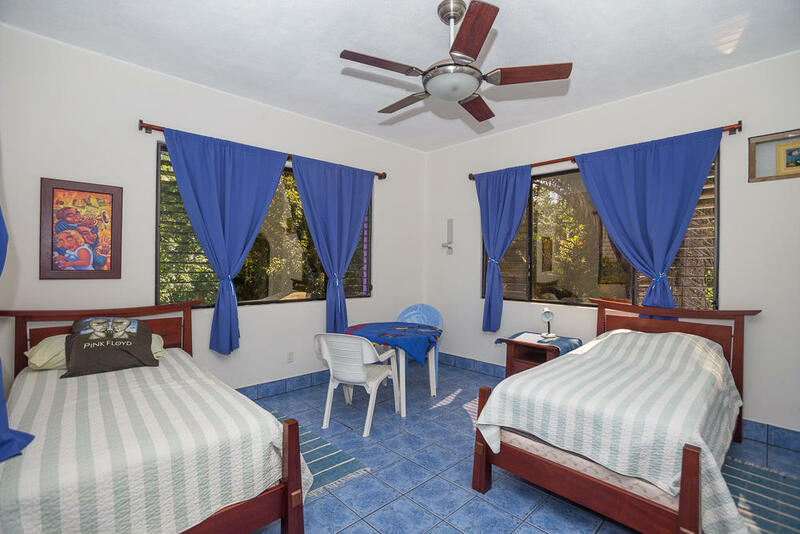 Unique property offers 327 feet of white sand beach and expansive ocean views of turquoise water just beyond the shoreline and a lovely 2 bedroom 2 bathroom home. 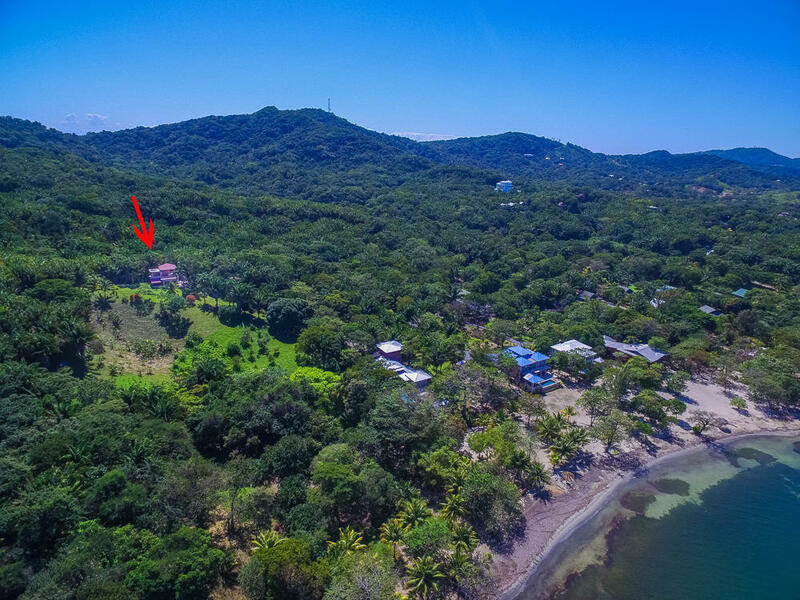 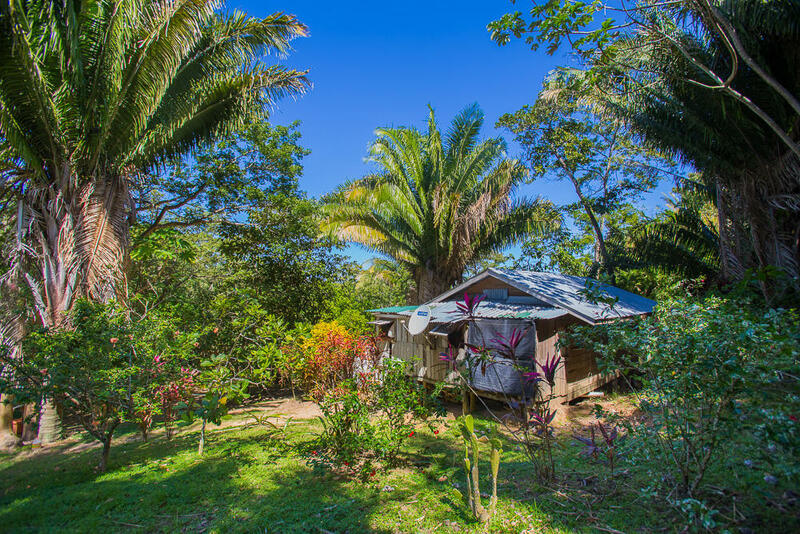 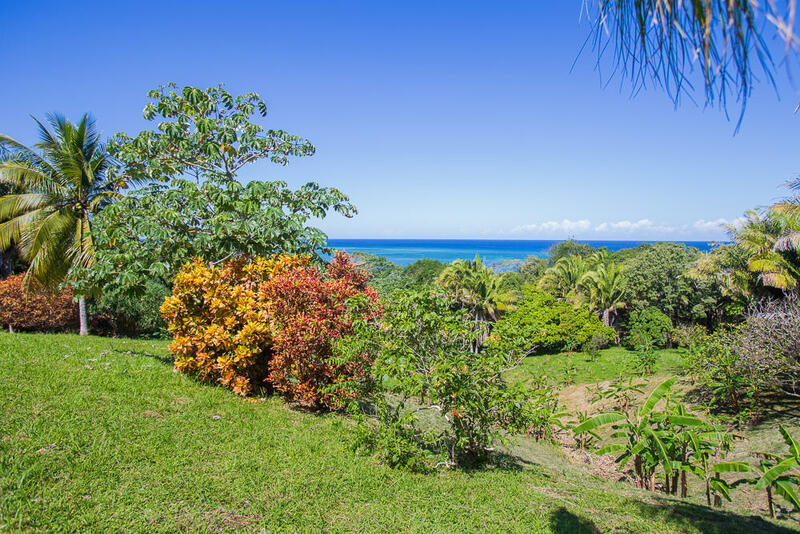 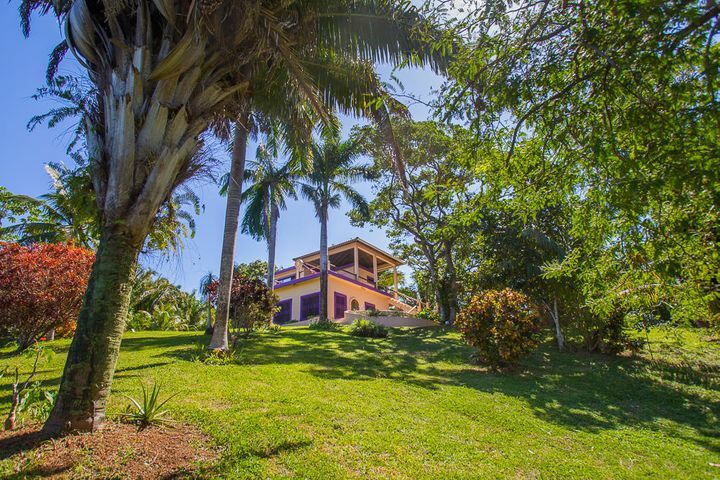 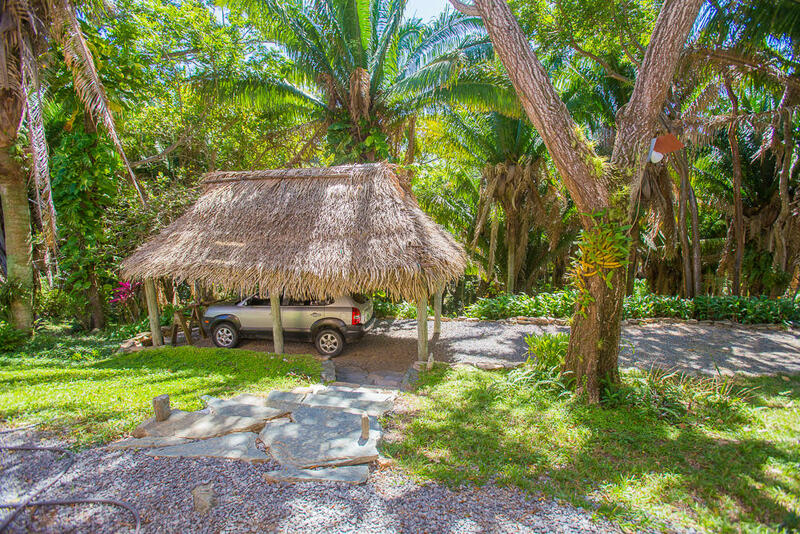 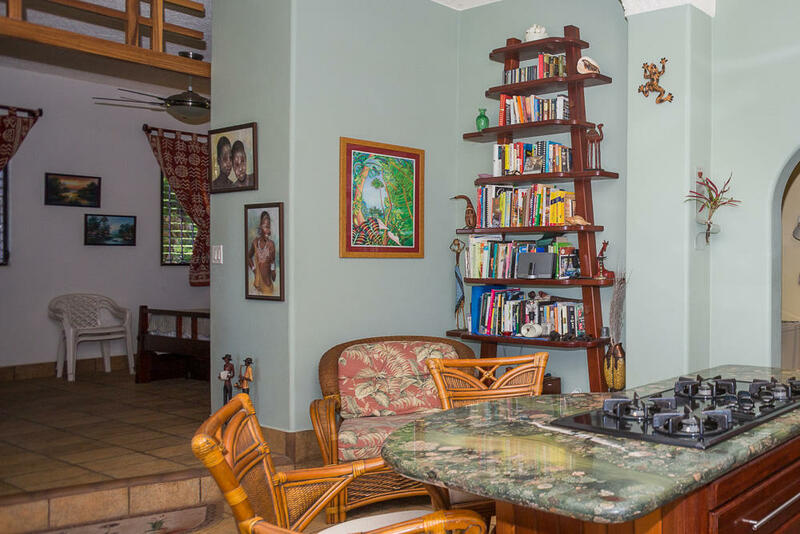 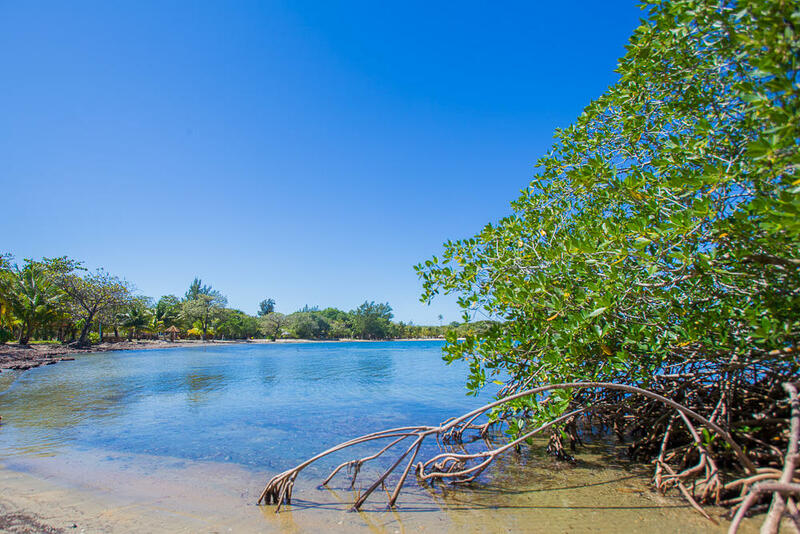 This estate property could be converted into an eco lodge or boutique hotel, with its many ideal building sites. 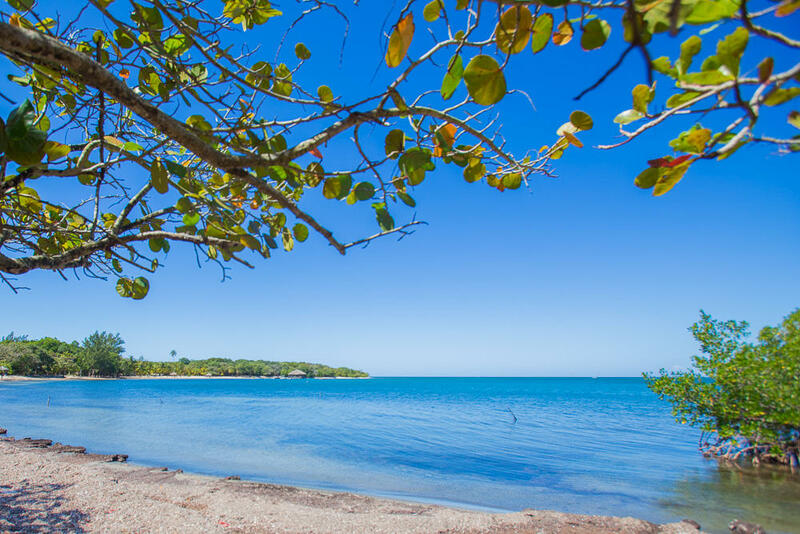 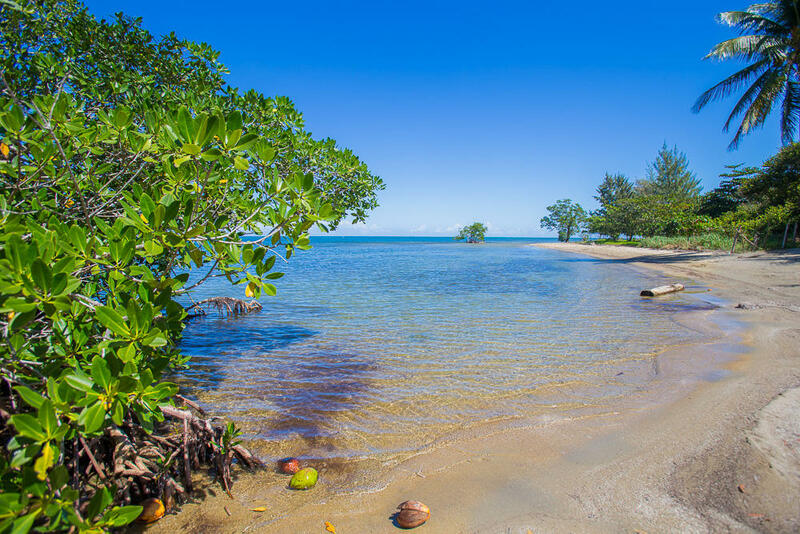 Property includes rights to Palmetto Bay Plantation's pool, restaurant, dive/snorkel shop, kayaks, beach and dock. 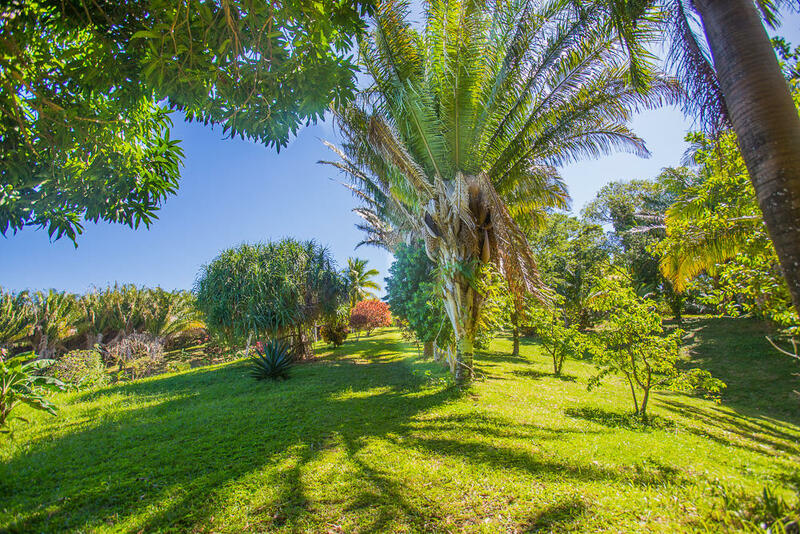 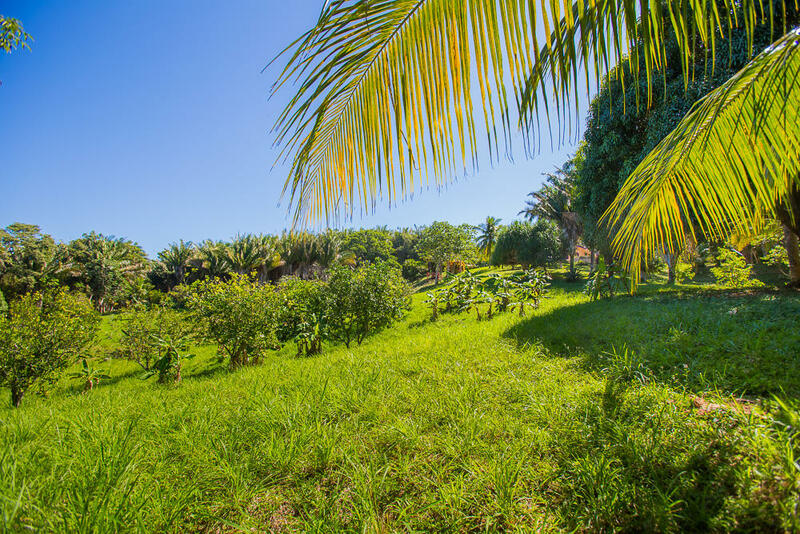 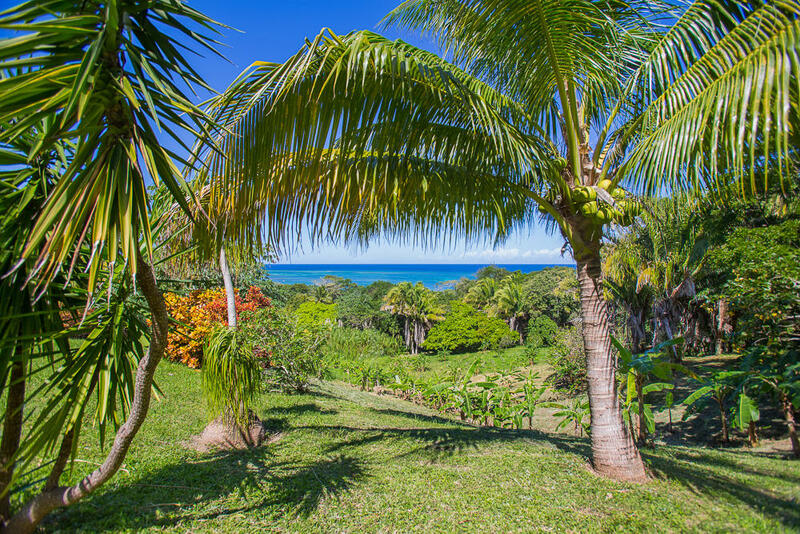 Surrounded by lush tropical fruit trees, there are over 100 to pick from. 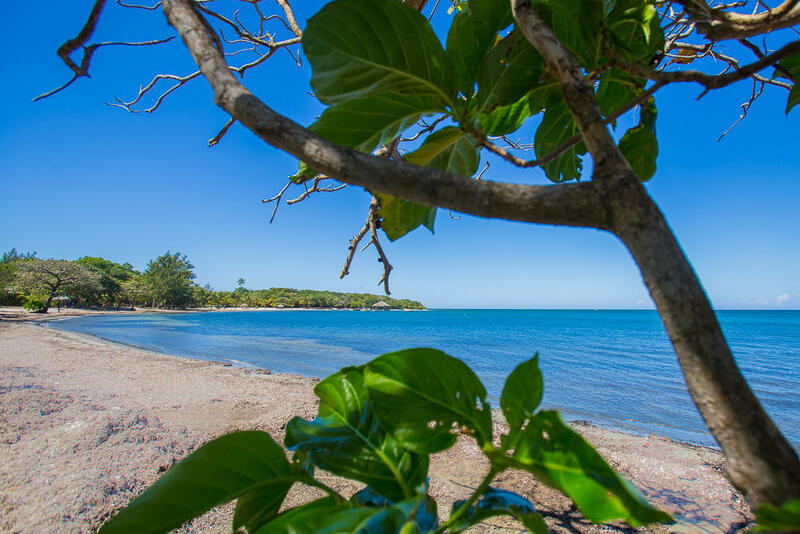 The newly paved North shore road leads nearly to the Palmetto Bay entrance. 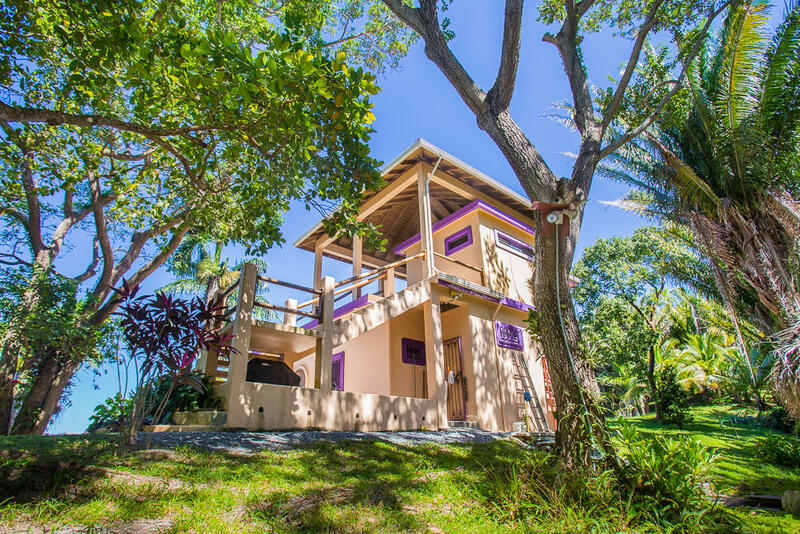 Additionally there is a new micro brewery just a few minutes walk away. 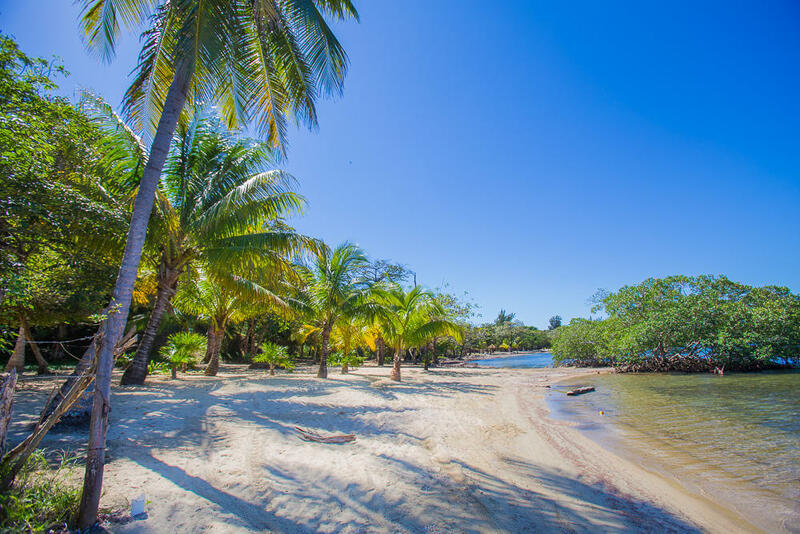 Directions: Enter Palmetto Bay and take the 2nd right hand turn off to the end.